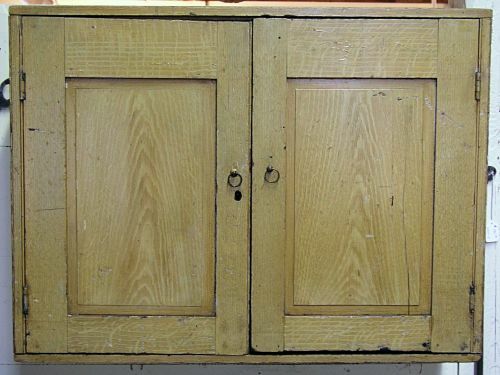 Small pine Grain painted hanging wall cupboard. All square nail construction beaded edges with 2 interior shelves. Dimensions: Measures 32" Wide X 24" Tall X 11 1/2" Deep.